Zain (Zain Al Rafeea) is a young boy living with his family in an impoverished Beirut neighbourhood. Street-wise and smart beyond his years, Zain’s resentment towards his parents builds until, following a series of tragic events, he is compelled to sue them for bringing children into a world filled with such pain and suffering. 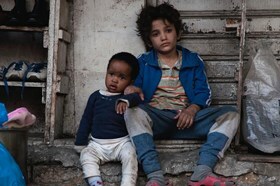 Featuring a host of astounding performances, Capernaum marks the sensational debut of young actor Al Rafeea, with writer-director Nadine Labaki crafting an emotionally powerful and thought-provoking tale of finding hope and friendship against all the odds.